Inside and out, British Wool Collection ottoman sets are lovingly handcrafted for luxurious comfort and support. 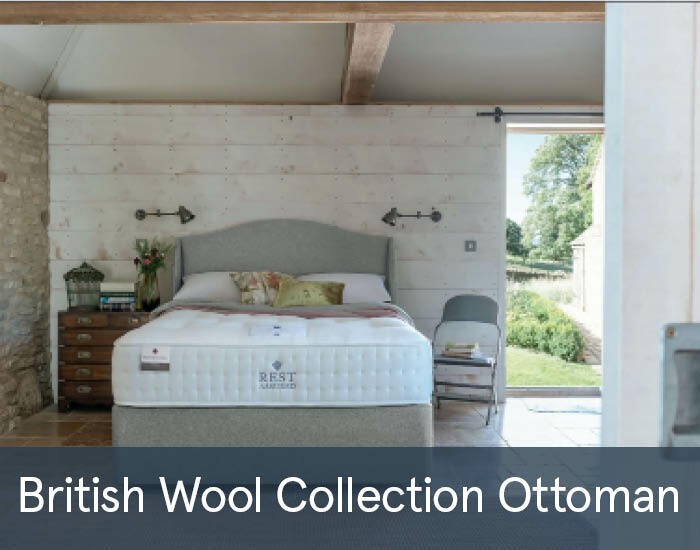 Our British Wool quality pocket spring mattresses offer the perfect blend of traditional bed making expertise and materials with the latest in modern technology and testing methods. British Wool bed sets are available with platform top and sprung edge divan bases with or without storage options.